SAN ANGELO, Texas — You've heard people say, "There's nothing to do in San Angelo." Here's a list of things going on in San Angelo to give you something to do with friends and family. 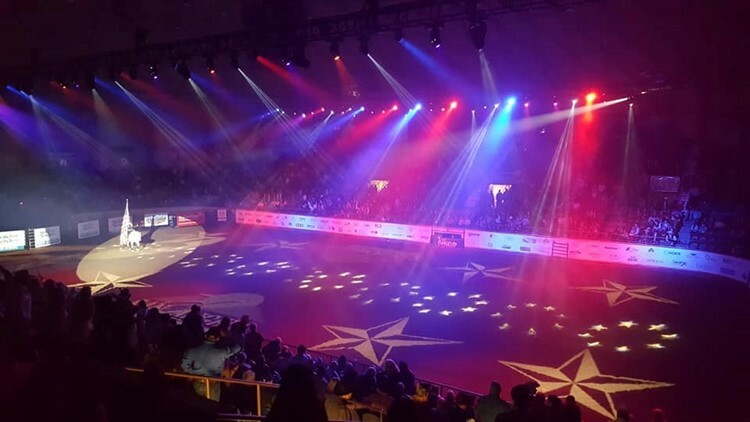 From the San Angelo Rodeo PRCA performances, to live music and a baseball symposium, there are plenty of choices for events to attend over the weekend. 4 p.m. - Tim Tebow's Night to Shine, Stables at Fort Concho, 210 Henry O. Flipper St.
5 p.m. - Stout and Sutliff Carnival, San Angelo Fairgrounds midway, 50 E. 43rd St.
7:30 p.m. - San Angelo Rodeo PRCA performance 5, Foster Communications Coliseum, 50 E. 43rd St.
8 p.m. - Jacobs Run, Children's Miracle Network fundraiser, The House of FiFi DuBois, 123 S. Chadbourne St.
9 p.m. - Jarrod Sterrett and Hired Guns, Whiskey River Saloon, 125 E. Concho Ave.
9 p.m. - Andrew Carman and The Trials, Concho Pearl Icehouse, 1605 S. Chadbourne St.
9 p.m. - The Front, The Penny Live, 4205 S. Bryant Blvd. 9 p.m. - Karaoke Friday, Main St Saloon, 26 N. Main St.
10 p.m. - Gary Kyle, Blaine's Pub, 10 W. Harris Ave.
8 a.m. - TimeClock Plus open house hiring event, 2905 Southwest Blvd. 9 a.m. - Baseball Heritage Symposium, Fort Concho National Historic Landmark, 630 S. Oakes St.
10 a.m. - Family Day Lunar New Year, San Angelo Museum of Fine Arts, One Love St.
10 a.m. - VFW Post 1815 Sip & Shop, VFW Hall, 125 S. Browning St. Noon - Stout and Sutliff Carnival, San Angelo Fairgrounds midway, 50 E. 43rd St.
1 p.m. - San Angelo Rodeo PRCA performance 6, Foster Communications Coliseum, 50 E. 43rd St.
2 p.m. - Brewery tour, Zero One Ale House, 20 W. Beauregard Ave.
6:30 p.m. - Steak dinner benefiting Elks programs for special needs children, San Angelo Elks Lodge 1880, 2121 S. Chadbourne St.
7 p.m. - The Westerners, VFW Hall, 125 S. Browning St.
7:30 p.m. - San Angelo Rodeo PRCA performance 7, Foster Communications Coliseum, 50 E. 43rd St.
9 p.m. - Jeremy Lynn Woodall and the Grinders, Whiskey River Saloon, 125 E. Concho Ave.
9 p.m. - Murder Monroe, The Penny Tap House, 2412 College Hills Blvd. 9 p.m. - BAD Improv: Valentine Shmalentine, Be Theatre, 82 Gillis St.
10 p.m. - Tiffany and the Lump, The Deadhorse, 210 S. Chadbourne St.
10 p.m. - Dirty River Boys, Blaine's Pub, 10 W. Harris Ave.
3 p.m. - San Angelo Rodeo PRCA performance 8, Foster Communications Coliseum, 50 E. 43rd St.